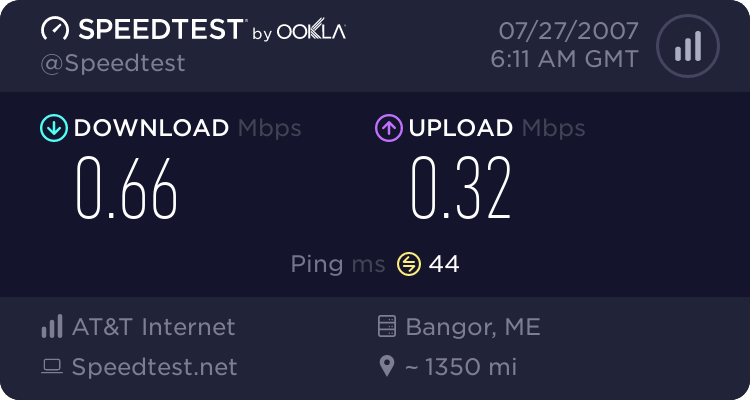 I thought I'd ask my smartie friends here which ISP I should switch to from AOL. I have been with them since 93 and would like to save some money. I do not have high speed nor will I get it in the near future. (my newer computer isn't working, so I'm on my old one for now). I have no idea what's good or if they are all the same. I did try walmart's company a few years ago, but trying to get rid of it was a HASSLE! Not that it's going to be a picnic getting rid of AOL. There's a special promotion that's being offered for DSL internet service due to the merger of SBC and Bellsouth. The terms are that if you have AT&T/SBC/Bellsouth phone service, and haven't had their DSL internet service during the last 12 months, you can receive basic DSL service for 1 year for $10 per month, along with a $50 rebate too (for the modem kit). It was mentioned on another website that this promotion is the result of a lawsuit settlement, and lots of dial up users are trying it out. To see if it's available in your area, visit DSL Internet, Phone, Wireless and Satellite TV Services | AT&T and look for the "internet promotion" at the bottom of the page. The website would only reveal the promotional price when I wasn't logged in to an SBC account. I ordered it and selected the 3-5 day regular ground shipping for $10 less than the faster shipping method. It came in 3 business days and I installed it on the 4th day. 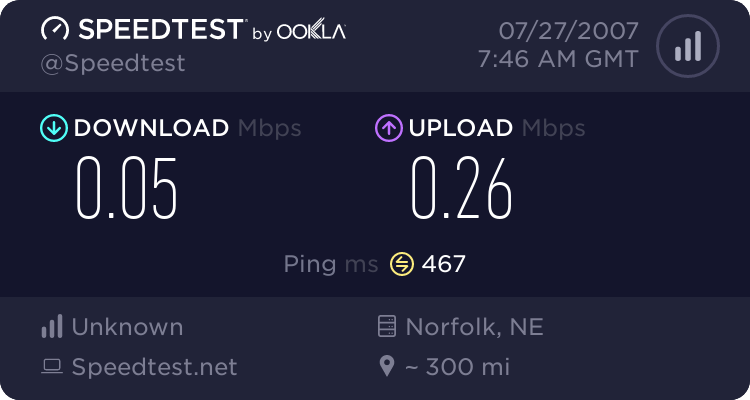 It's a much faster connection than dial up, and the billing is added directly to my SBC phone bill. Plus more computers within a household can use it simultaneously. After a year it will cost $15 per month in my state, and it currently costs $19 per month in most Bellsouth states. So it's a good deal for those who qualify where service is available. The offer will reportedly be available for the next 30 months, so there's plenty of time to consider it. To test the performance of the system, I visited Speedtest.net - The Global Broadband Speed Test and obtained these results. It's a tremendous improvement! Last edited by sun; 08-06-2007 at 10:34 PM..